-How are the EU and its relations with Turkey, and the EU’s social actors, events and processes referred to? -What labels and characteristics are employed to define the EU and its relations with Turkey? The study looks at 5 national Turkish dailies by gathering the news reports from the PRNet online database. Both opposition and pro-government papers will be included. The data will be analysed by employing Critical Discourse Analysis, drawing on Discourse-Historical Approach (Wodak & Boukala, 2015). 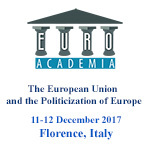 Findings are analysed within the context of the history of Turkey-EU relations, Turkey’s own internal and regional issues in recent years, and the ongoing political clashes inside the EU.